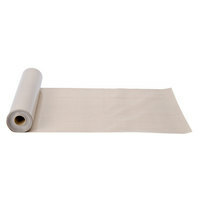 Streamline your busy bakery or commercial kitchen with this PanPal PTFE Non-Stick 18" x 54' pan liner roll. 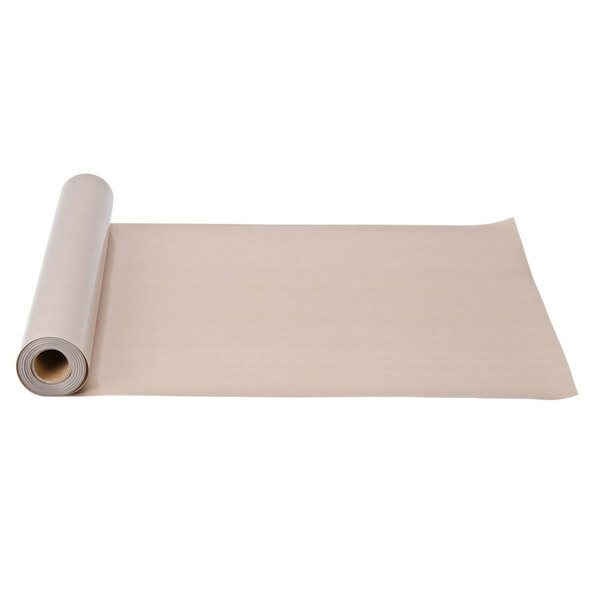 This pan liner roll is the perfect non-stick mat for a variety of applications- it makes cleanup a breeze and saves you money! You can confidently bake your stickiest pastries and cheesiest dishes on each liner without worrying about a messy removal or difficult clean up. No grease, butter, oil, or sprays needed! This liner eliminates the need to scrub pans clean which saves you time and helps preserve your pans and cookware! "This is the perfect pan liner! 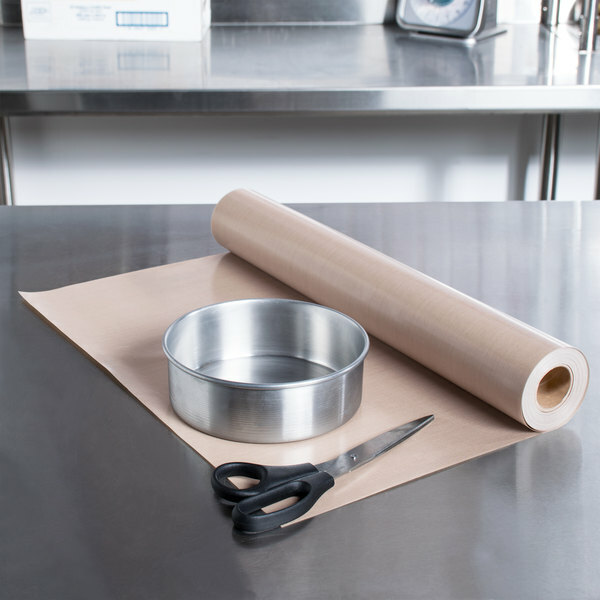 Nice and large roll allows you to cut a variety of pieces to fit any sort of pan! Very high quality, doesnt stick!!" When food burns on pans, it can take ages to get the stubborn baked leftovers off- that's time that can be better spent cooking! These liners are the most affordable and easiest way to keep your pans clean, which keeps your kitchen moving quickly, efficiently, and in a cost-effective way. 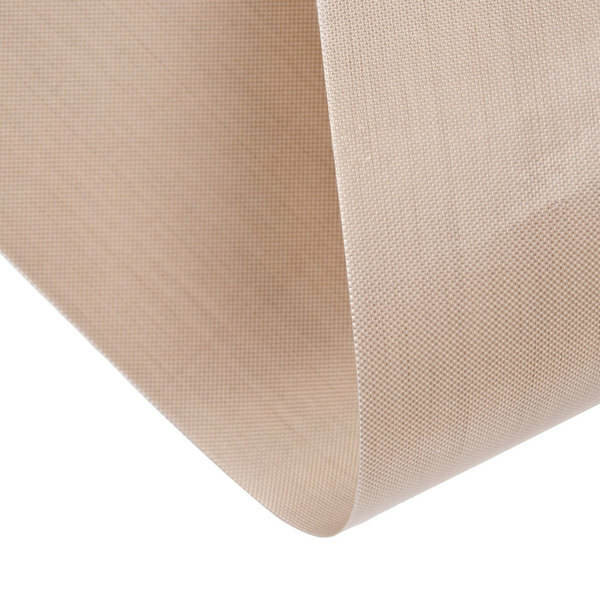 And because it's reusable, this PanPal liner is an eco-friendly and extremely cost effective option. It's also more inexpensive than leading silicone mats. Exceptionally heat-resistant and easy to use, this durable, 5 mil thick PFTE coated fluoropolymer pan liner can withstand temperatures up to 550 degrees Fahrenheit. 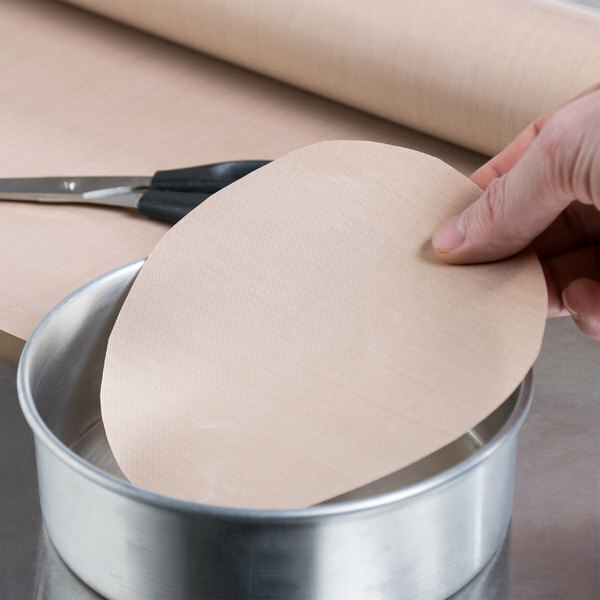 This is a higher maximum baking temperature than other alternatives like parchment paper or silicone mats. This liner can also be placed in the freezer or microwave, making it perfect for cooling foods or for use in prep work. You can use it again and again, rather than purchasing other liners and constantly throwing them away! 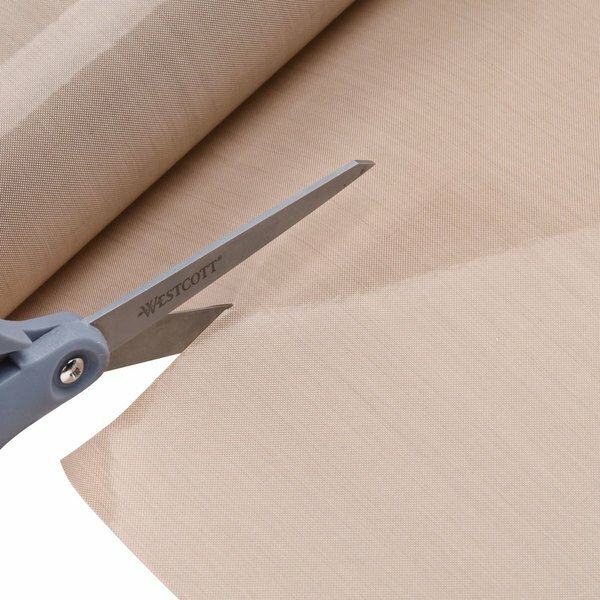 Packaged in a convenient roll, you can easily cut this liner to size so that you've got a custom-fit liner for every use. With 54' of liner in every roll, you can supply your business with up to approximately 26 full-size or 56 half-size pan liners depending on how you cut. 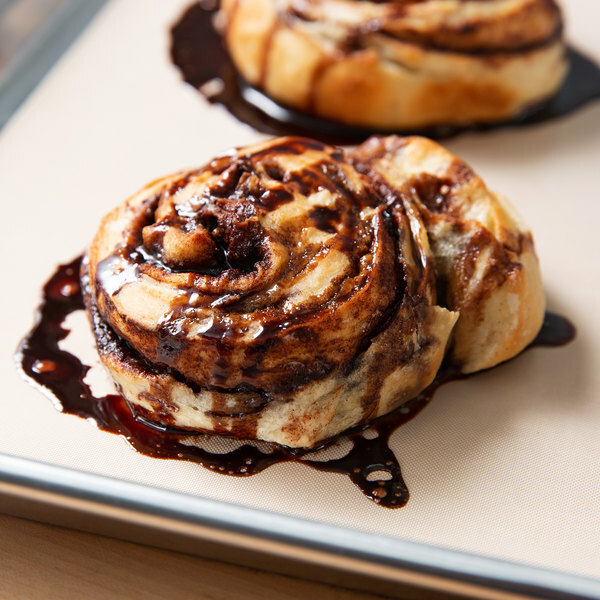 And with even heat distribution, each pan liner is a seamless addition to any baking process! Simply Wipe Clean and Re-Use! 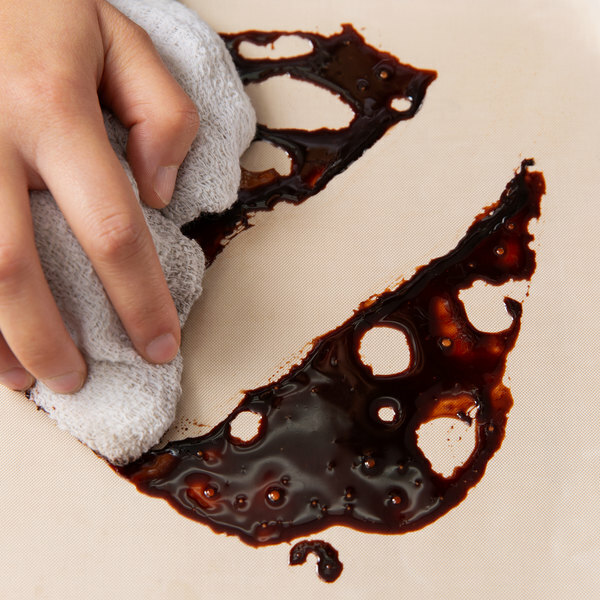 Once you're finished, simply wipe the non-stick liner clean with a damp cloth and soap; no chemicals are needed! This liner is dishwasher safe, but we recommend hand-washing to preserve its life. 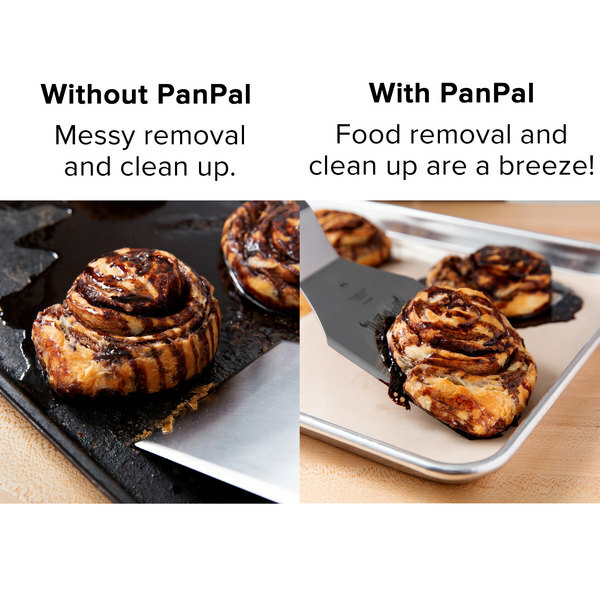 Don't get stuck with messy food products and filthy pans that take time to scrub clean - keep things running smoothly in your busy establishment with this Pan Pal non-stick liner roll. How many times can I reuse this pan liner? 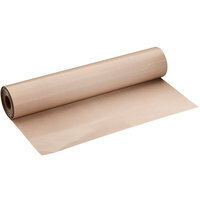 In most cases, these liners can be reused up to a hundred or so uses. However, please keep in mind that using any kind of very high heat or fat and oil on this liner will greatly reduce its life expectancy. To prolong its use, we recommend cleaning the liner after using with a soft cloth and Noble Chemical Sunbright Pot and Pan Dishwashing Liquid. Also avoid using abrasive or sharp materials and utensils since this could damage its PTFE coating. When your liner shows worn spots and begins to fray around the edges, discard the liner. This is the perfect pan liner! 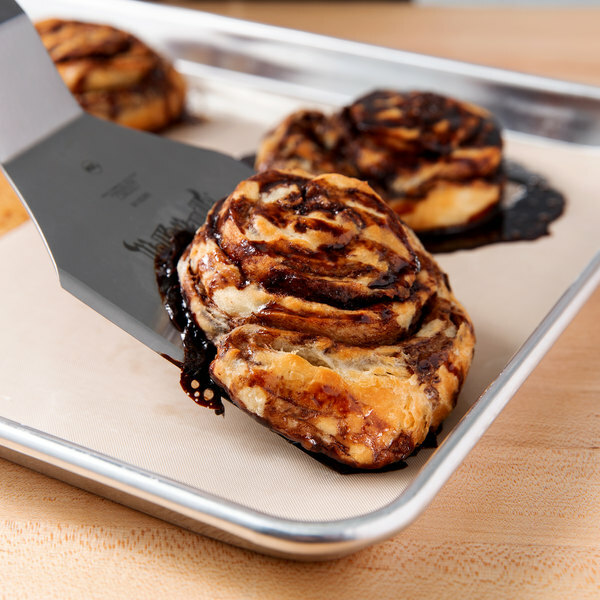 Nice and large roll allows you to cut a variety of pieces to fit any sort of pan! Very high quality, doesnt stick!! Saves time and money. Extra large width. Cut to fit any size pan- ONCE. The material is easy to clean and it can be reused many times! Definitely a worthwhile purchase! I love this sturdy pan liner! Really helps with anything I bake and does not stick. It is nice to have something to that can custom fit to any pan or baking sheet that I have. Best pan liner that I have ever used! Definitely worth buying! 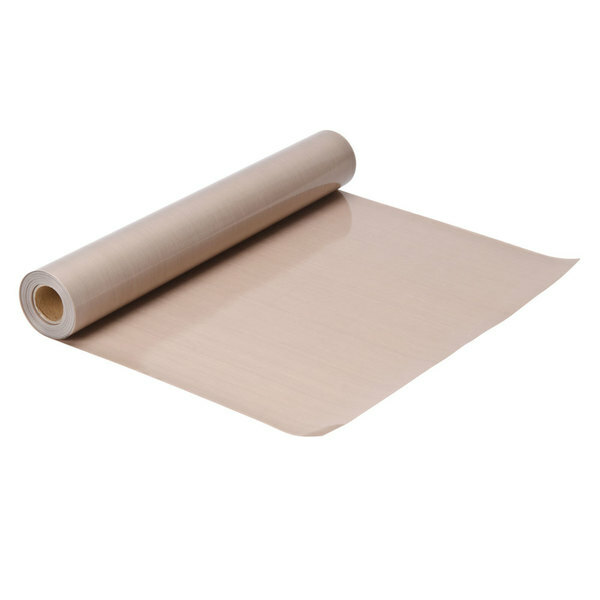 This is a nice sturdy liner, and I love the wide 18 inch width and that it comes on a long roll and is very easy to cut with sharp scissors. Allows me to cut it to a custom size to fit any sheet or pan I have! The best value you can get if you need a quantity of baking pan liners.